Designed and engineered in Norway, Austin’s generous, stylish contemporary form and ergonomically contoured cushioning is upholstered in luxurious top grain leather to enhance even the most discerning of modern living spaces. 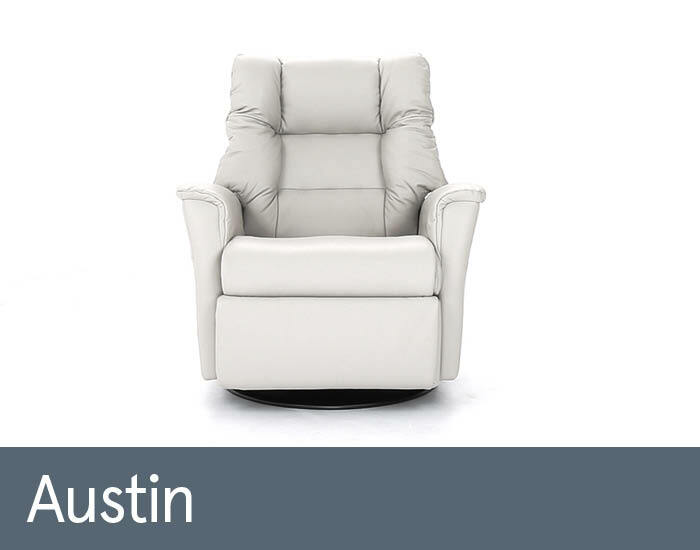 Whether it’s to read, watch TV or snooze in, you can sit upright, semi or fully reclined using Austin’s easy, touch button activated power recliner. Hand-crafted from the finest materials, you can rest assured with a 10 year frame and interior warranty plus 5 year mechanism warranty.